· First we have you covered with 90 Audio CD's for travel time in your car or on your home stereo. · Fourth or you can listen with MP3 or watch with video on your computer and enjoy the Video Format in WMV (Windows Media format). · Now you can make time where you can use different media choices to match your daily schedule. · Second complete 90 day DVD Video on 1 DVD Disk for your DVD player on your TV for when you are home and can relax to listen. · Third we have the audio Bible in MP3 format for your portable MP3 player while you are on the go. · User friendly navigation where you can choose whatever Week or Day of the Bible you want to listen to or go back and start the Day where you left off. We have an answer to your goal for your busy lifestyle. • Media: 1 DVD MP3 computer Data disk 75 Hours, 1 DVD Video 90 Day Bible 75 Hours, 1 DVD Video Bible 75 Hours.3 WMV Video computer Data Disk 75 hours, 90 CD Disks - 75 hours of audio devotional mastered for your CD audio player. Total of 96 Disks with a total of 375 hours of Audio/Video for you to reach your goal no matter how busy you are. 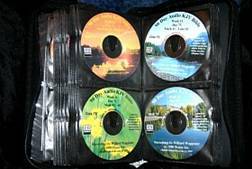 • Technology: 90 Daily Audio Bible KJV Devotions Set in a 96 Disk Wallet 90 Daily Devotions for your daily enjoyment of God's Word Formatted for full stereo quality on 90 CD Audio Disks where each day is on a separate CD. Listen to this MP3 Bible as you travel using an MP3 compatible car stereo or while using a portable CD MP3 player Most new DVD players are MP3 compatible which can also play the MP3 files on these CD's MP3 files are transferable from your PC to your MP3 player and your IPod player Recorded in a Professional Studio for 100% DIGITAL QUALITY. 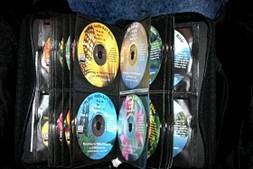 Transfer from your computer DVD player to a CD then these MP3’s on CD's can be played on MP3 compatible CD players This set is designed to help you reach your goal of listening to the complete Bible in 90 days.